Perfect accent piece for autumn and beyond! 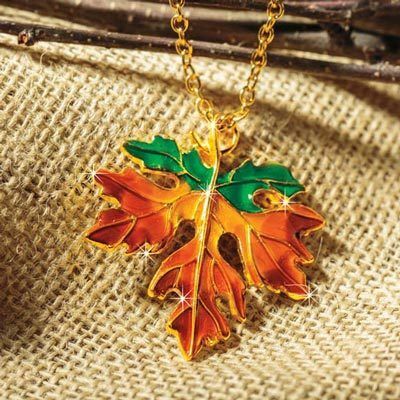 Maple leaf-shaped pendant is finished in shimmering enamel with gold-tone accents and chain. Add a touch of elegant, rich beauty to any outfit—this is a great all-around piece that will take you from day to night. 20"l chain with 2½"l extender.